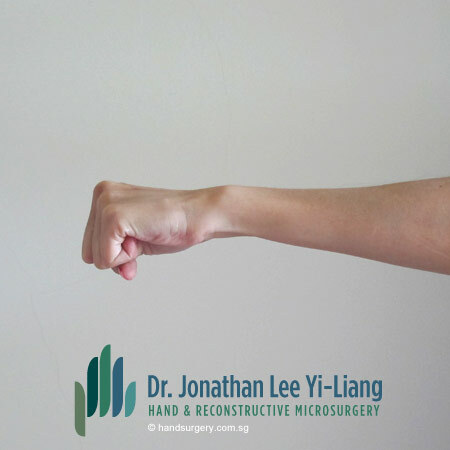 Dr. Jonathan Y. Lee, a leading Singapore Hand Surgery and orthopedic upper limb Specialist, shares his tips on preventing Carpal Tunnel Syndrome with simple exercises. Carpal Tunnel Syndrome is one of the leading causes of wrist pain and palm and fingertip numbness. It is a common problem that affects people who spend a large part of their day engaged in typing, writing, use of hand held tools, and performing other repetitive wrist and finger motions. Besides taking frequent breaks and ergonomic measures to minimiSe the impact of repetitive hand activity; these wrist stretches and exercises can help prevent Carpal Tunnel Syndrome as well as reduce pain experienced by people who have already developed the condition. Perform these easy exercises before starting work as well as during breaks throughout the day. Newer PostDo I have Carpal Tunnel Syndrome?